Club rides are a brilliant way to start using your sleek new fitness machine, but what else can you be doing with your wheels? We take a look at the options. There’s nothing like joining a cycling club to learn the ropes on riding your roadie. It can seem a little daunting at first, but before you know it, you’re up there in the pack with the best of them, looking forward to the coffee stops and exchanging tips on socks and maintenance. But what’s beyond the club ride? What else can you be doing with your wheels? The first questions to ask yourself are these: what appeals to you most… the thrill of the speed? The anticipation of adventure? Or testing yourself to go further then you’d ever thought possible? If you fancy seeing yourself on top of the Strava leaderboard, or even better, on the podium at your local races, club rides really are the perfect place to begin. They’ll help you with confidence in the group, handling skills and spacial awareness, and they’ll push you to keep up with stronger riders. When you’re ready to test your grit, consider racing — you can check out the information on USA Cycling to get started. Remember, everyone starts as a beginner, the best way to learn is to get stuck in! Men start as a Cat 5 while women begin in Cat 4, and from there you’ll attempt to earn points to climb the ranks. 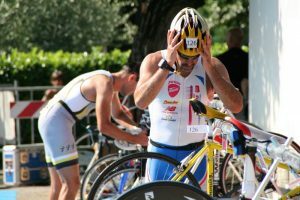 Once you’ve caught the racing bug, the cycling world is your oyster with time trials, criteriums (closed course racing) and more to get stuck in to, and if you’re serious about that podium, consider a coach. There’s something extremely satisfying about setting your sights on a distance and just getting stuck in — that awesome feeling when you nail your first century (100 miles) can never be forgotten. The beauty of longer rides is that much of the challenge is in the distance, so you can take it at your own pace. But, where to begin? You could simply pick a weekend, a cycling buddy and a nice route and head out with snacks in your jersey pocket and bags of determination. Or for something a little more organized, check out Randonneuring — the ultimate in long distance cycling. Randonneurs thrive on long, long miles. As a member you can enjoy a variety of long distance events, and if you’re feeling brave, earn your way into the pinnacle event: Paris-Brest-Paris, A bi-annual 1200km event, known for it’s stories of sleep deprivation and camaraderie. But don’t forget, start small and build incrementally to avoid injury. Whether it’s 20 miles or 2000, the thrill is in achieving something new. Riding in places you’ve never visited before, while experiencing nature up close at its finest, is one of the greatest opportunities we have as cyclists. Strictly speaking, a lighter road bike isn’t made for round the world trips, but there’s nothing stopping you from exploring new states and crossing borders with the right kit and geometric set up. First up, check whether your bicycle has pannier mounts, if so, you can kit-up with a tent and all you’ll need in order to get out there on the open road. If your bike’s built for racing and missing the mounts, don’t panic — you can still carry a little kit, but you’ll probably leave the tent at home! In this case, you can investigate a seat post bag, top tube bag and/or handle bar bag. You’ll be able to hold up to around 4 gallons, enough for a couple of changes of clothes and some basic essentials. 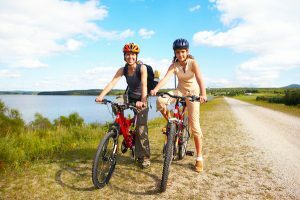 Before you know it, you’ll be spending your saved airfare on bicycle parts and making memories along the way! If any of these options particularly inspire you, there will be a bicycle for just the job at Collareta Cycling— pop in or give us a call for advice! NextThe Bianchi Road Bike Is A Success Story That Celebrates Style, Strength And Cycling Lore.